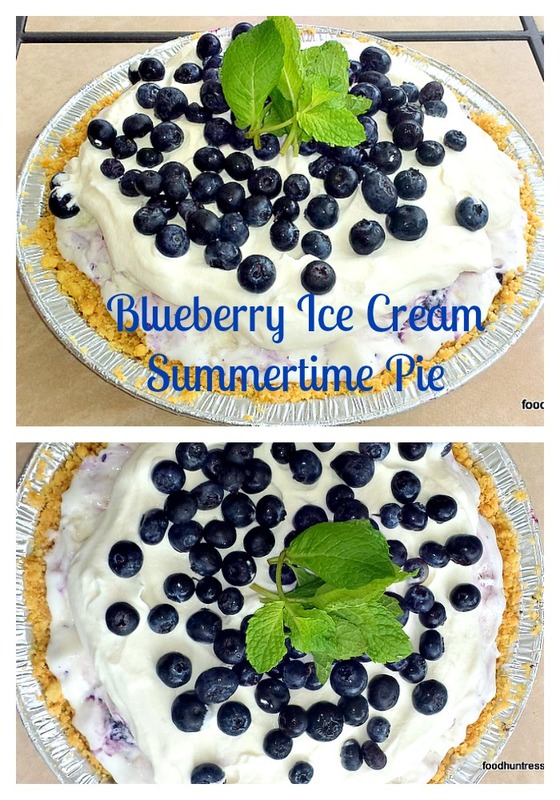 Blueberry Ice Cream Pie is great for summer fun at your house or events where there is a freezer available. 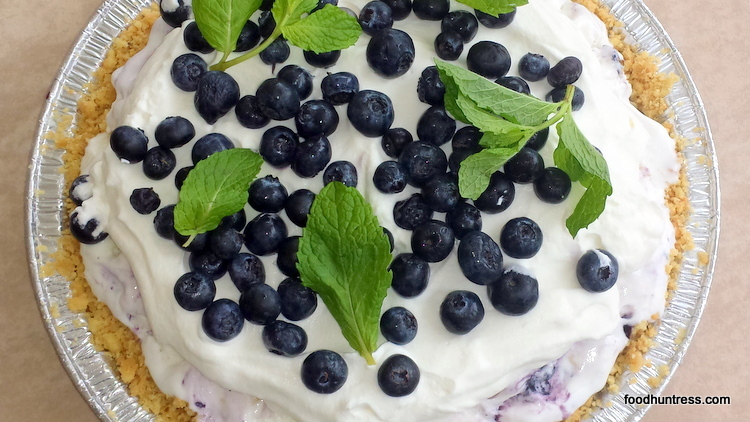 BLUEBERRY ICE CREAM PIE – SO YUMMY! 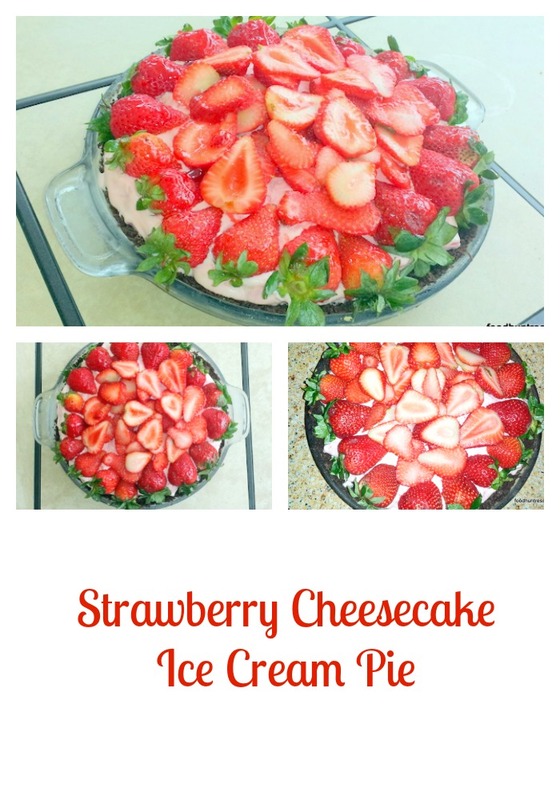 Like the Strawberry Cheesecake Ice Cream Pie that I made on the same day, this one is equally easy to make. The ingredients are shortbread cookies, blueberry ice cream, whipped cream and blueberries. What could be easier to make? You only have to bake the cookie pie crust so that it holds up better. I served this pie at a summer family party at my house. We all loved it! Friends and family will love this pie! My grandkids love it! I couldn’t decide which one is better the Blueberry Ice Cream Summertime Pie or the Strawberry Cheesecake Ice Cream Summertime Pie! So it’s better to make both!!! 1. Place crumbled shortbread cookies into a food processor and process until finely crumbled. 2. Mix in the sugar, melted butter and cinnamon and process until mixed. 3. Press into a 9 inch pie plate and bake in oven for 7-10 minutes until lightly browned. 4. Cool for 10 minutes and then place into refrigerator for 1 hour. 7. Whip heavy cream with a mixer and add sugar and vanilla. Place on top of frozen blueberry ice cream pie. 8. Top with blueberries and mint for decoration.